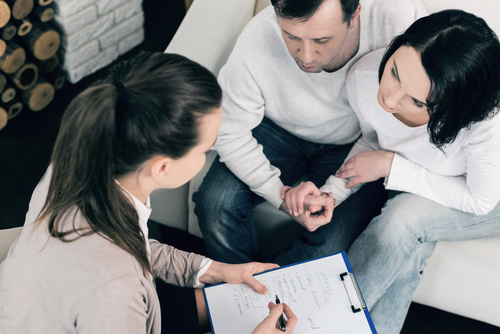 Recovery is a life-long process and doesn’t end upon completion of rehab or therapy. Foothills Centre For Change believes that the more treatment you receive, the better your chances are of remaining clean and sober. A relapse is a return to drug or alcohol use after a period of intentional sobriety. So a paramount goal of relapse prevention is to help you figure out and identify your personal triggers, such as when, where and why you drink or use substance. Thus, it is important that you find a supportive environment to continually assist you in avoiding temptation. This involves the members of the support system removing any mind-altering substances from the home, avoiding using intoxicating substances in front of the recovering loved one, and encouraging full compliance with the aftercare plan. It’s not only you who need help and support, but also your family members. Aftercare programs help provide support and instruction for the family members of recovering individuals. There may still be a great deal of tension between you and your family caused by events that occurred during the period of drug use. You may be struggling to blend back into a “normal life” which is causing stress for your family. In both these cases, aftercare programs provide counseling and advice for your family to help get them through this difficult time. It is important for successful recovery and continued sobriety to receive ongoing support, education, relapse-prevention strategies, community reintegration skills and fellowship. We, at Foothills Centre for Change are available for ongoing and unlimited phone support for any guest needing continued reassurance and encouragement. We are committed to provide initial weekly phone contact, followed by an additional monthly check-in for 6 months. Contact us today for help with your personalized aftercare program.